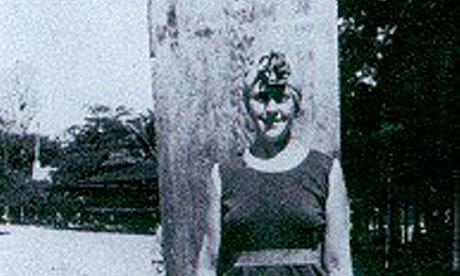 Agatha Christie standing next to her surf board*. Agatha Christie surfed. I AM DEAD NOW.